Even with the buzz of the Oscar season overwhelming every second of my life and so many promising films hitting theaters left and right, it is difficult to deny that in my mind, and probably everyone else’s, one movie continues to dominate the sense of anticipation. 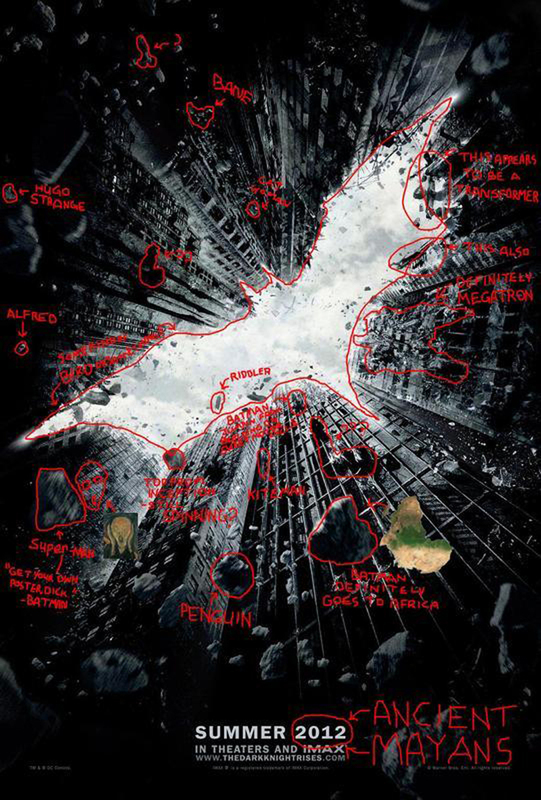 That film is obviously “The Dark Knight Rises.” Even though I’m still a little bent out of shape over the fact that Pittsburgh was chosen to replace Chicago as the Gotham City backdrop (I mean really, who are they kidding? ), the excitement towards the closing chapter of one of the most extraordinary and game-changing franchises in movie history is undeniable. Therefore, I find it necessary to report some of this extraordinarily exciting news reported in the new issue of Empire Magazine. 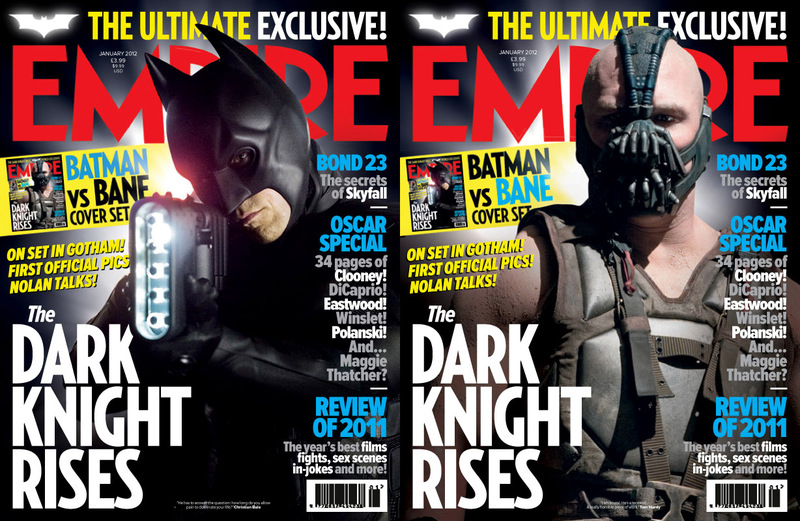 The periodical contains the first actual stills from the film reel itself as well as some revealing interviews with both Christopher Nolan and Tom Hardy. The two of them discuss some interesting facets of the film which could perhaps give an inkling to a few plot details. You put all of this together, and one question bares very strongly in my mind: just how dark is Nolan going to take this film? Everything that we’ve seen and heard points to a possibility that the film’s predecessor, widely acclaimed for its realism and unsentimentality, could seem like a Disney movie compared to this one. There’s one quite cataclysmic event that some journalists and enthusiasts are contemplating. 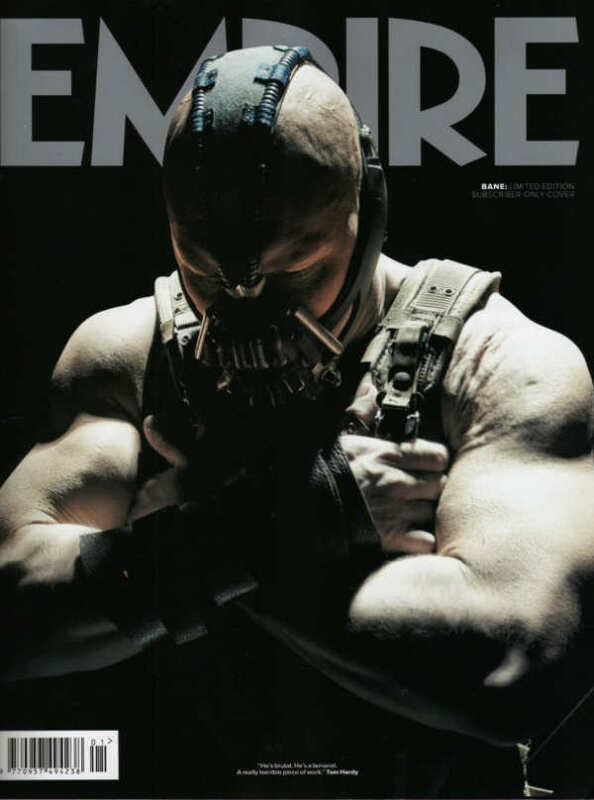 Between Bruce Wayne’s older state, the brutality of Bane and Nolan’s description of Batman being tested both physically and mentally like never before, one has to wonder if Bane will, in fact, break Batman’s back. Those who have read or have a decent knowledge of the comics know that this event does occur in Knightfall. Perhaps this will be Nolan’s way of closing out the Batman series, and to be even more speculative, maybe bringing Catwoman in to take on the mantel. She has already been seen in photos riding the Batpod. The internet is like a sewing circle of gossip and rumors and all we can do is wait for the next dollop of news. Supposedly, we will not have to wait that long. 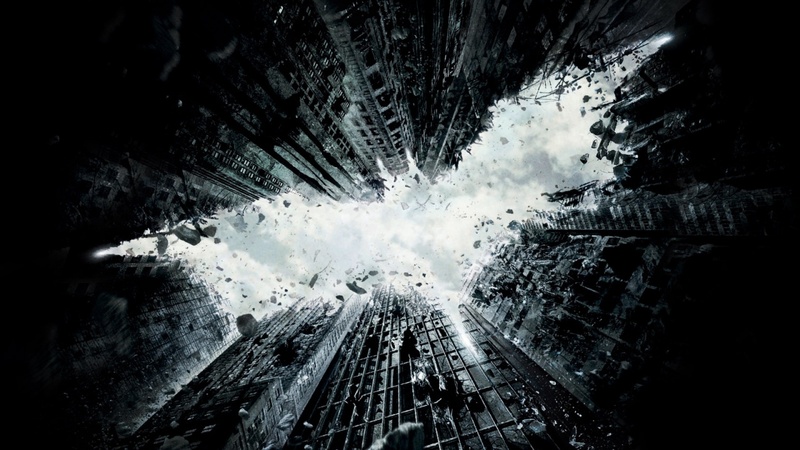 As Nolan did with “The Dark Knight” a prologue is being planned for theatrical release. The first six minutes of the film are going to be shown as a complete short before IMAX screenings of “Mission Impossible: Ghost Protocol.” I personally wish they could have attached it to a film that I actually planned on seeing, but I’m sure it will pop up on the internet sooner or later. The prologue featured the Joker’s bank heist. Who knows exactly what this one will feature. Though, it’s been made clear that Bane’s mask and antecedent injury is explained in the early scenes of the film so perhaps we’ll see something along those lines. Okay. I understand that lately this site has been going a little nutty over anything to do with Christopher Nolan’s new film, although how can anyone really hold it against me? Yet, I promise that after this I will try to cool it for a while. Meanwhile, this gag was just too eye-catching to pass up. I found this over at Sasha Stone’s Awardsdaily, who apparently dug it up at Modernismism. This is a fantastic effort made towards finding a true thematic harmony for this soon-to-be trilogy. I really appreciate the fluidity created between the three different color schemes, balancing the changing tones cast by the films’ director. It certainly gives a clue into what we can expect from this final chapter for they seem to get bleaker and more sinister as the trilogy progresses. I would love to have this poster on my wall. Kudos to whoever’s behind this impressive piece of film art. Well, folks, here it is. Warner Brothers actually took the social networking route and debuted it on both Facebook and Twitter, rather than on an official website or iTunes. I must say that the trailer does display a bit more footage than I thought (even though people are already bitching about a lack of visuals). One thing’s for sure, Christopher Nolan has not before, nor will he (apparently) leave behind the gritty elements of realism that have made his franchise so immensely popular. This chapter looks about as cut and dry as anything I’ve ever seen. It appears that Nolan really knows what he’s doing in this final installment and I’m not expecting any disappointment. As far as the footage goes: stellar. Gary Oldman on the hospital bed was probably the last thing that anyone was expecting to see, but it works. 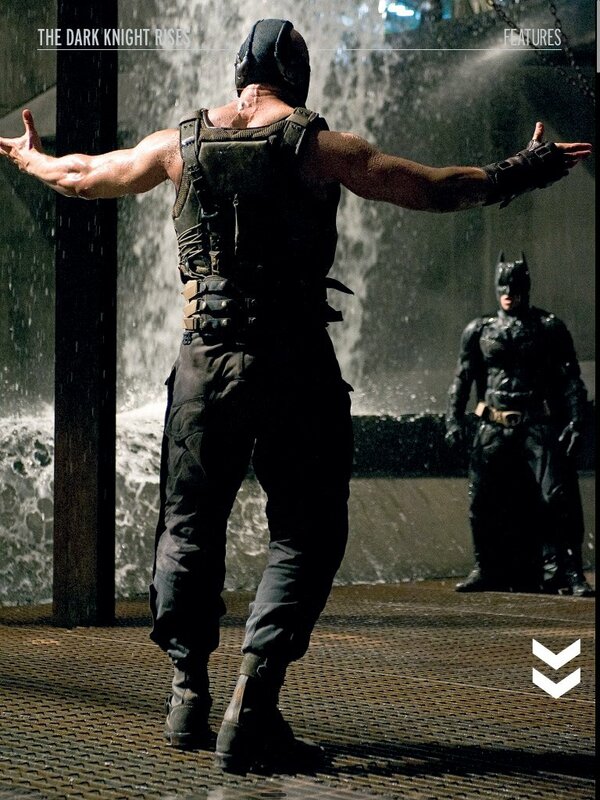 And the final shot of Bane approaching a beleaguered Batman in some kind of seedy industrial setting was chilling. Nothing on Catwoman, yet, but we’ve still got plenty of time. If this film follows the same publicity pattern as the last film, we can probably expect a second trailer with more footage by January, followed by a final piece by perhaps March or April. One more thing. Before seeing this trailer, I had little to no respect for the film’s title. 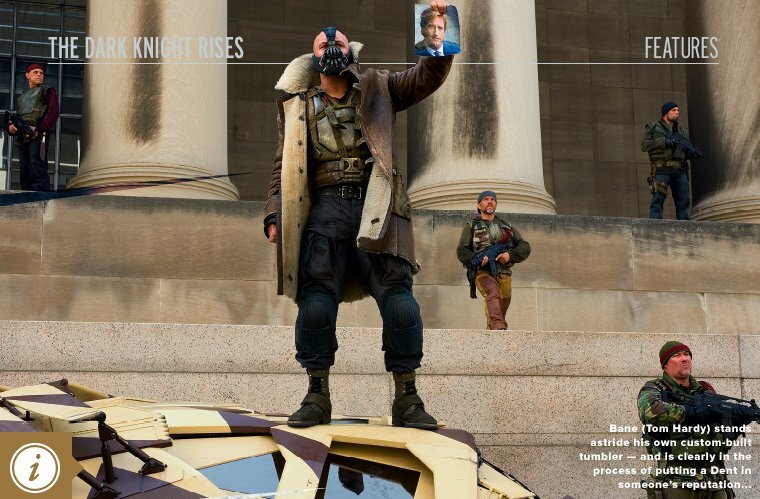 However, after getting a very loose glimpse of the film’s plot and tone, maybe the “Rises” actually works for it. Check out the HD trailer below. Embedding has been disabled, therefore just play the video and follow the link to youtube. There’s not much to this. I just think that, what with all of the guessing and analysis over the poster and upcoming teaser, that this is just downright hilarious. Enjoy spending a few minutes looking this over. Even though this was only released within the last few hours, it is already practically old news. Still it’s worth reporting on this mad publicity blitz for the highly anticipated film. This poster is only the first step. Accompanying the release of Warner Bros’ final installment of “Harry Potter” this weekend (thank God, by the way, that it is finally the last), there will be a featured first teaser trailer for Nolan’s flick. 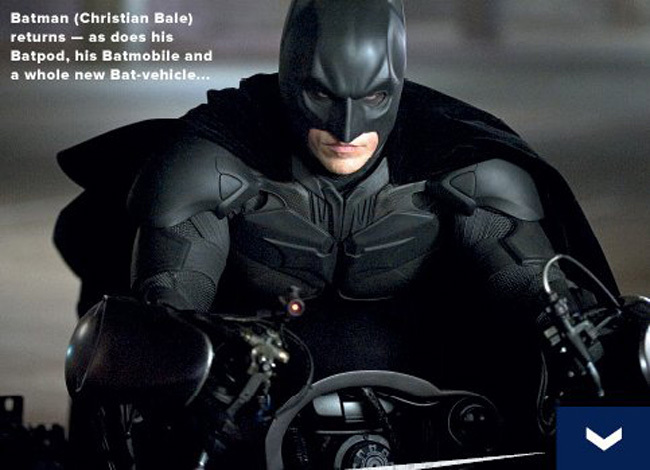 To be quite honest, Batman fans shouldn’t get their hopes up. Their production has barely begun so I wouldn’t expect a whole lot of footage. I’m expecting something similar to the first teaser of “The Dark Knight,” a fancy, blue visual effects show with some voiceovers. Not that that preview didn’t give chills, but most of those came from hearing the first syllables spoken by an infinitely more anticipated antagonist. They might be generous and throw in a shot of Bane to wet appetites. The poster, released today, granted is an early promotional tool, is honestly pretty boring to me. The design is cool, but the detail on the buildings is fairly sloppy. I understand that it’s just a poster and I shouldn’t take it too seriously, but take a look at the buildings again. That has got to be one of the most claustrophobic city blocks I’ve ever seen. Where does the street go? I don’t know. Maybe I’m still just annoyed that it’s not a Chicago city street we’re looking at. I’m not sure if that grievance will ever be resolved in my mind, but we’ll save that round of bellyaching for a different article. I will post the new teaser as soon as it becomes available online, probably within a day of it’s release in theaters. 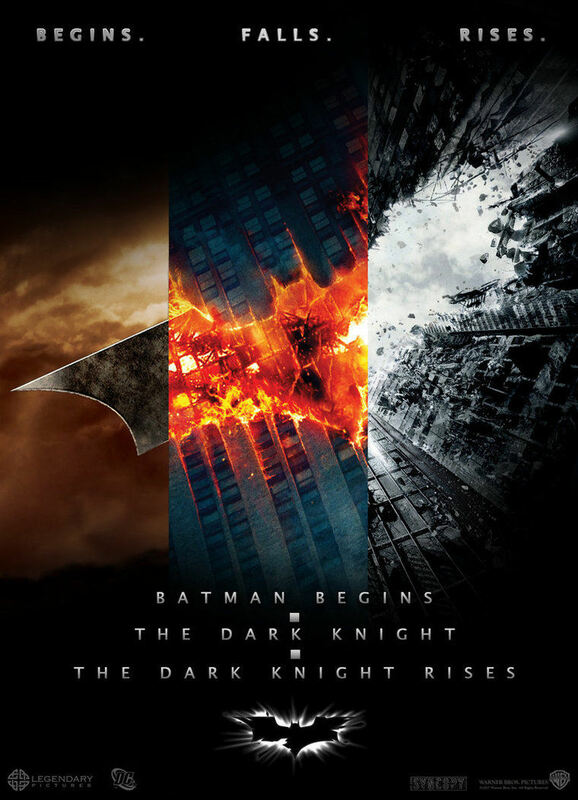 In the meantime, I’ve attached the first “Dark Knight” teaser, below, to show what we can probably expect. I can’t say that the new “Superman” franchise is something that I’m looking forward to with beaming eyes. 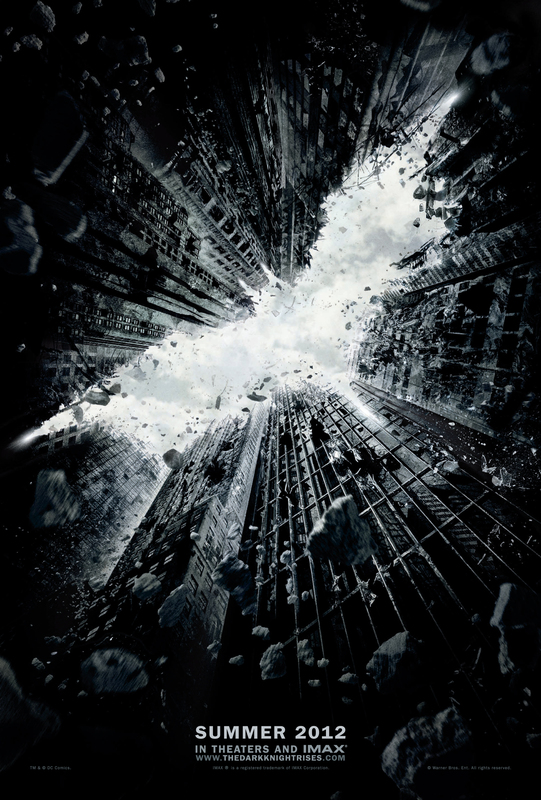 Even with Christopher Nolan’s attachment, Zack Snyder at the helm of anything makes me kind of want to purge a little. However, this seems like a pretty cool casting choice. Adams is a phenomenal actress, and extremely attractive, and I like it when Hollywood casts meaty roles with actresses who hold both of those qualities rather than just the latter. The 36-year-old star got the news on Sunday from director Zack Snyder, who phoned her from Paris, where he was promoting his just-opened film, “Sucker Punch.” There had been a crush of Hollywood interest in the lead female role in the Warner Bros. project but Snyder said that after meeting with Adams, she was the clear choice to take on a character that dates back to 1938 and has long represented the strong, professional woman who can hold her own against any man – even if he can leap tall buildings in a single bound.